We tailor every consultation and production process to each client; the following is a guide and rundown of the steps we take to deliver an exceptional service. 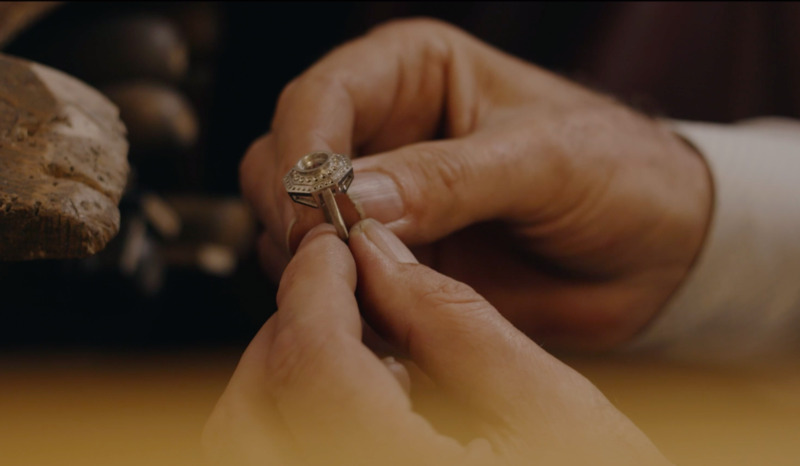 Many of our clients have never entered into a collaborative bespoke jewellery design process before and therefore may not know quite what to expect. We are committed to you getting the most out of a bespoke commission with us; the steps below are a simple outline to give you a feel for the bespoke experience. 1. Contact us by email or phone to arrange a consultation in our studio, Soho House or private location. 2. Talk through your ideas with Bear to define the brief. 3. Follow up to fine tune design, give indication of cost and share timeline. 4. Design is submitted and is re-worked. 5. Stones are selected. CAD design is created if required. 6. Design, cost and timeline are signed off and 50% deposit is settled. 7. Manufacture process begins and completion date is set. 8. Quality control check and client receives notification of completion. 9. On Collection Bear makes sure you are entirely happy and explains ongoing care instructions. 10. Outstanding balance is settled. If you'd like to begin a bespoke commission with us, please get in touch so that we can arrange your consultation now.